Whilst in his Second Year at Fort Hare he entered a competition organized by the University of Zululand. His painting ‘Confrontation’, which together with the work ‘Give Me a Chance’ was influenced by the photos of the uprisings taken from Drum and Pace magazines, was awarded first prize. A year later he won the same competition sharing first prize with Sfiso Ka-Mkame. This made him realise he had a future in art. During these years he, Sipho Mdanda and Tiki Phungula painted a mural at Fort Hare at the bidding of their lecturer Annette Loubser. They started work on a Friday afternoon and completed late Sunday afternoon. The subject was protest by workers on the shop floor and marches with strong patterning contrast. It was destroyed in 1987 by Ciskei soldiers. Zamani’s artwork has also been influenced by his family background where his father, a teacher and school principal, died in 1967 (when Zamani was 8 years old). This was followed by the death of five of his brothers from a genetic heart condition. These early deaths inspired him to read about the mystery of life and death and traditional African symbolism. After graduating in 1984 he was employed as an art teacher at Ntuzuma College of Education. During that period he was part of the group that formed the organization called NAVAO (Natal Visual Artists Organisation) in 1988. NAVAO was a coming together of black visual artists that was affiliated to the Natal Culture Congress. Members contributed to various political campaigns through the design of posters, banners, T-Shirts and murals. The organization facilitated the participation of local artists in local exhibitions and international events as well as bringing artists together. They had 68 members from urban, rural and semi urban areas in the province. Many Fort Hare students and graduates were part of this initiative that included Sfiso Ka-Mkame, Thami Jali. and Paul Sibisi. 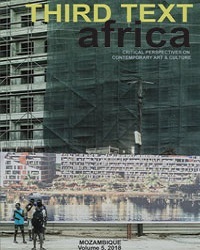 They exhibited mainly at the African Art Centre which was in Guildhall (near the City Hall) under the curatorship of Jo Thorpe. Zamani’s work at that time was politically charged and reflected the destruction and violence of the townships in those years. 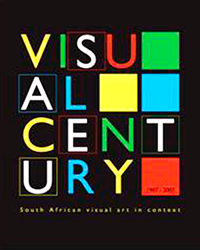 Zamani, Sfiso Ka-Mkame, Thami Jali and Tiki Phungula held an exhibition called ‘Vuka’ at the NSA Gallery in Overport City. This was Zamani’s first involvement in a ‘collective’ which was to set a precedent for the rest his career. His overall body of work stems from his interaction with others and being part of a bigger world. Zamani’s retirement from teaching in 1999 led to a new chapter in his life where he began collaborating with other artists in the Durban area who formed themselves into collectives establishing their own independence and support systems. The birth of this was in 37 Crart Ave in Glenwood – an old house which had its own history of resistance and politics. It had formerly been an underground anti-apartheid publishing press where a parcel bomb had exploded in 1990 killing the person who opened it. After this it was rented out to students, artists, musicians and was a hub of creativity. The collective Third Eye Vision was born there with the initial founders being Zamani Makhanya, Sfiso Ka-Mkame, Thokozani Mthiyane, Khwezi Gule, Gabi Ngcobo, Thando Mama, Langa Magwa, Bandile Gumbi and others. Third Eye came about at a time when the political climate had changed. 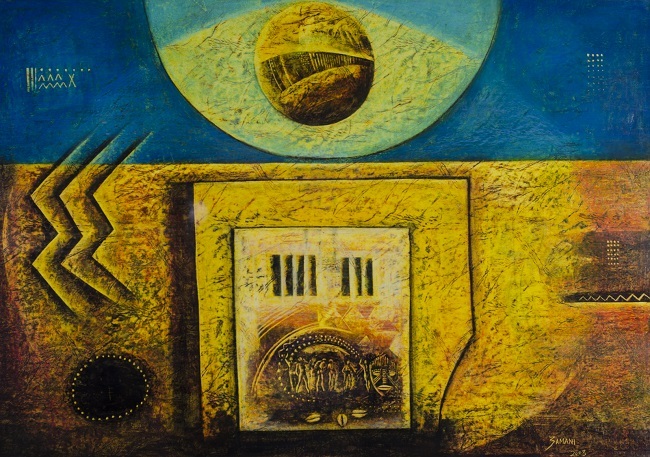 The unbanning of the ANC in 1990 and the return of exiles which led to CODESA (Convention for a Democratic South Africa) had an impact on their art at that time. Zamani states: “Identity was an important factor in the Third Eye Vision movement because at that time we didn’t know our role as African artists. We read books and studied symbols of African artists. Our work became more abstract. We were mostly influenced by West African artists.” They used images of masks (which are believed to contact ancestral spirits) as a starting point. Adinkra symbols were also important to them. These are visual representation of concepts developed by the Ashanti (present-day Ghana) and are widely used in fabrics, pottery, logos and architecture. One of the Adinkra symbols is Sankofa often associated with the proverb, “Se wo were fi na wosankofa a yenkyi,” which translates as: “It is not wrong to go back for that which you have forgotten.” Sankofa is represented either with a stylized heart shape or by a bird with its head turned backwards while its feet face forward carrying a precious egg in its mouth. Eggs appear in Zamani’s repertoire as a metaphor for the fragility of our lives and the new democracy, along with cowrie shells that he uses to symbolize materialism. Third Eye morphed into a different form when, due to a lack of financial resources the artists had to move from Crart Avenue, and were introduced by cartoonist Andy Mason to a space in uMkhumbane (Cato Manor). This was a large space in a former school – the Lockhat Islamia College, owned by the well-known Lockhat Family, which had closed down in 1998. Part of the disused building was occupied by a group of textile design women and crafters who were respectfully referred to as the “mothers”. The deal was that the artists would assist the “mothers” in their pattern designs. However the women moved out after a short while leaving a larger space for the artists who occupied it for the next 10 or so years. This space and the accessibility of the area gave them opportunities to work on a larger scale and to hold their own exhibitions. The Durban Art Gallery purchased a large work of Zamani’s for their collection and artists, curators and other influential people were able to visit them there thus allowing them to showcase and market their work independently. 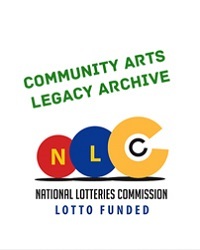 During their tenure in uMkhumbane they organized many workshops funded by Durban Arts Association and others. Zamani notes that they had attended the Thupelo workshops which were initiated in 1985 in Joburg and they used these as a model for their own. They wanted to call them “The uMkhumbane International Workshops”. Their aim was to be Pan African or “International” so they involved artists from the Congo and Zimbabwe who were living in the area. They also recall that Trevor Makhoba painted a mural in the premises. This was destroyed. The area of uMkhumbane was and continues to be a hotbed of land contestation and, like many others, they became the victims of eviction in 2011 shortly after having held an influential exhibition called “Power” at the Durban Art Gallery and BAT Centre. The artists remember that their lease was cancelled and that they were suddenly evicted from the space with their artworks and materials being taken away by trucks or dumped into the street. This ended the era of the collaborative studio although the artists continue to work together in informal collaborations. By this time Zamani was married to Mashadi and they had a family home in South Durban where he established his own studio. Zamani has been a regular supporter of the music concerts at the iconic Rainbow Restaurant in Pinetown for many years. In March 2014 he staged a joint exhibition with photographer Rafs Mayet on the Duotone platform, a satellite event to the Cape Town International Jazz Festival. Makhanya interpreted forty photographs that Mayet had captured at the Rainbow, going right back to the mid-1980s. When this collection of dynamic and vibrant portraits returned to Durban, a private collector was immediately in touch with Makhanya to purchase the entire collection. This inspired Neil Comfort of The Rainbow to propose including a similar joint exhibition, with fresh images, in a multi-media presentation they were producing for the Edinburgh Fringe Festival in August 2018. Sadly, this did not come off due to funding issues. Zamani continues to participate in the artistic life of Durban exhibiting in group and solo shows. 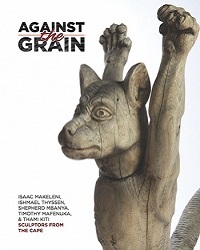 He also participates regularly in the annual Turbine Art Fair in Newtown Joburg. Carol Brown is a curator and art consultant based in Durban.